NEWPORT, R.I. — Peter August, professor in the University of Rhode Island Department of Natural Resources Science, College of Environment and Life Sciences, was recently presented with the Peter S. Thacher Award at the annual meeting of the Northeast Arc Users Group. The award recognizes a member of the Northeast Arc Users (NEARC) group, a professional community of geographic information systems (GIS) practitioners in the Northeast, for demonstrating commitment and excellence in using GIS technology to achieve success in natural resources management. The award is presented as a memorial to Peter Shaw Thacher, a United Nations diplomat and a distinguished fellow with the World Resources Institute who lived the phrase “Think Global, Act Local.” He was a founder and deputy executive director of the United Nations Environment Programme. Locally, Thacher was a pioneer in using modern computer mapping technologies to assist the town of Stonington, Conn., in developing environmentally sound planning policies. He was a member of NEARC and an outspoken advocate for GIS. August was selected to receive the award based on his 33-year history of applying GIS technology to natural resources management and conservation initiatives, the key role he played in establishing GIS technology in Rhode Island, coordinating the establishment of the Rhode Island GIS (RIGIS) consortium, building one of the most comprehensive and detailed statewide natural resources-based geospatial databases in the United States, and working with other Northeast partners to establish NEARC. August was hired as an assistant professor in URI’s Biology Department in 1981. He moved over to the newly reorganized Department of Natural Resources Science in the mid-1980s, which is when he took the lead in widely promoting GIS use by reaching out to other agencies to explore the use and application of such technology. These groups formed NEARC's foundation. At URI, August established the Environmental Data Center GIS laboratory, and developed a small army of dedicated graduate and undergraduate students who trace-digitized linear features from U.S. Geological Service topographic maps that served as the initial framework of the RIGIS database. August’s focus on the use of GIS in environmental management and land conservation had him engaged in assisting in the establishment of the Rhode Island Natural History Survey. In 2000, he was appointed the first director of the URI Coastal Institute, where he promoted stakeholder engagement for the sustainable use and management of coastal ecosystems and advocated for the use and application of geospatial data and technology to facilitate those efforts. He also has been active in the U.S. Chapter of the International Association of Landscape Ecology — a group that focuses on landscape spatial patterns and processes — where he served as councilor-at-large in the 1990s and served as the group’s president in the mid-2000s. He has also served on the Advisory Council of the Rhode Island Conservation Stewardship Collaborative, helping to initiate projects for Rhode Island land trusts to assist in identifying important ecological communities and develop management plans for their protected properties. 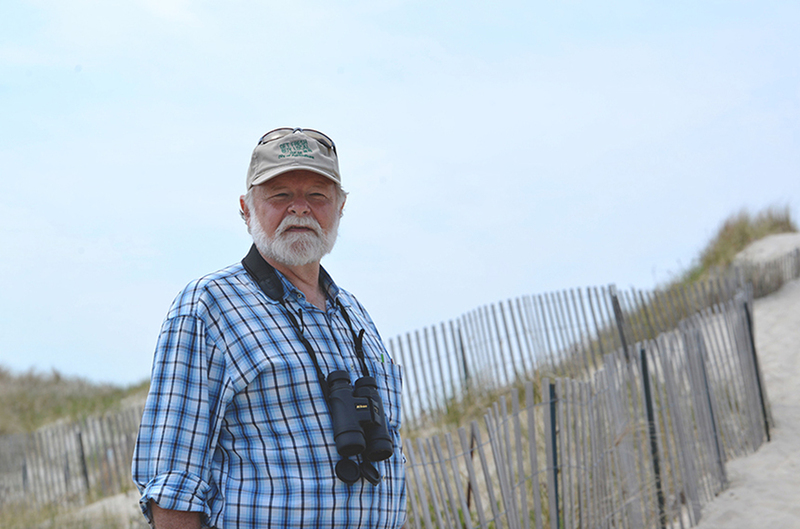 In addition to his teaching duties at URI, August is the chairman of the Science Advisory Committee of the Napatree Point Conservation Area, a pristine barrier island ecosystem in Westerly, where he coordinates vegetation surveys, aerial photo acquisition, bathymetric and eelgrass monitoring, shoreline mapping, and mammal, bat and bird surveys.